My love for soft pretzels is a relatively new development. I always liked them fine, I suppose, and enjoyed an Auntie Anne’s pretzel at the mall every now and then during my middle school years, but I didn’t think much about soft pretzels. And so, naturally, I wanted to try to make them at home. 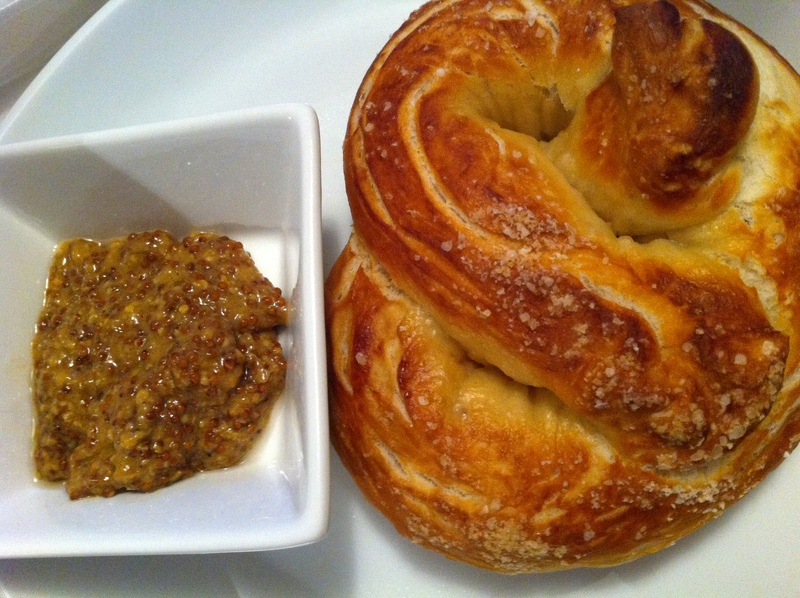 After some Google search action, I opted to go with this Alton Brown soft pretzel recipe. Not only had it received rave reviews, but it had the additional bonus of coming with a corresponding video to go along with the recipe itself. All the ingredients were things I already had on hand, minus the pretzel salt. Sigh. 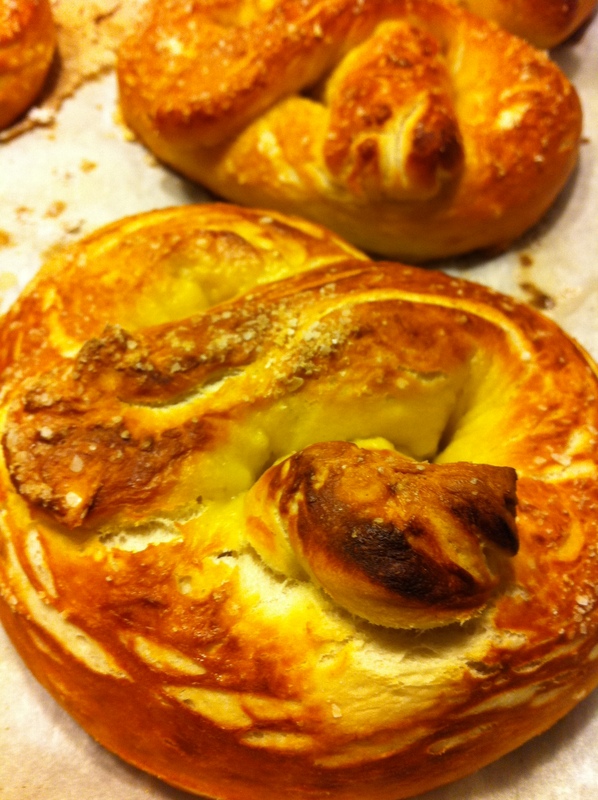 No pretzel salt to be found at Whole Foods, Harris Teeter, or Fresh Market. The Smitten Kitchen recommended this salt available via Amazon.com, but paying after reading the reviews for the product I decided to just use kosher salt on my pretzels, as many commenters recommended. And so, I was ready to get started. Combine the water, sugar, kosher salt, and yeast in a mixing bowl, and let sit for about five minutes (until mixture becomes foamy). Add flour and butter and mix together. If you don’t have a dough hook — like me — remove the dough from the bowl and knead on a floured surface for about five minutes. Then place dough in a bowl that’s been sprayed with baking spray, cover with plastic wrap, and let dough rise for an hour (until doubled in size). Bring 10 cups of water and baking soda to a boil. While water is boiling, remove the risen dough from the bowl and separate into eight equal pieces. 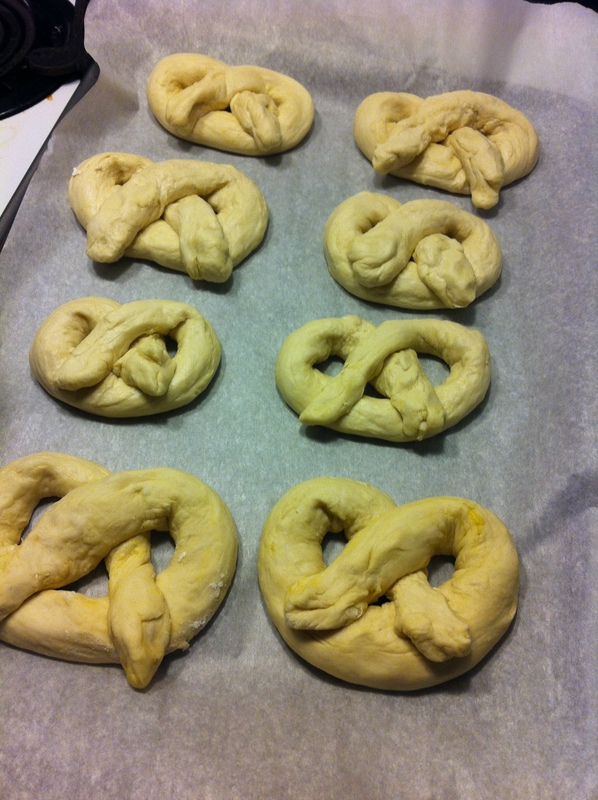 Roll each piece into a rope (about 24 inches long) and fold into a pretzel shape. Place on baking sheet. One at a time, put each pretzel into the water (once boiling) for 30 seconds, then remove and place back on parchment paper-lined baking sheet. Brush with egg yolk and water mixture and sprinkle with additional kosher salt (I recommend being quite generous with the salt). Bake for 11-13 minutes, or until golden brown. 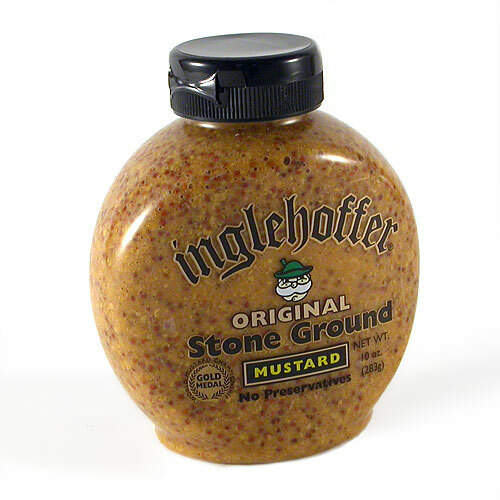 Serve with the condiment of your choice (I suggest a grainy mustard such as Inglehoffer Stone Ground Mustard).